The main role of a UC Master Gardener (MG) is to educate and help the gardening public by sharing science-based information. There are several ways MGs can share this information: via the internet, helplines, and social media as well as in demonstration gardens. UC Master Gardeners of San Luis Obispo have an extremely informative website which can be found here: http://ucanr.edu/sites/mgslo/. Missed out on a newspaper article? Find it here! Want to join the UC Master Gardener email list to get monthly announcements on events and workshops? You guessed it! It's all here. Prefer email? Email your questions to the Master Gardeners at anrmgslo@ucanr.edu. Do you find technology overwhelming at times and you just want to get answers in person? Bring a specimen in and visit with a Master Gardener at one of 3 helpline locations: Templeton, San Luis Obispo and Arroyo Grande. 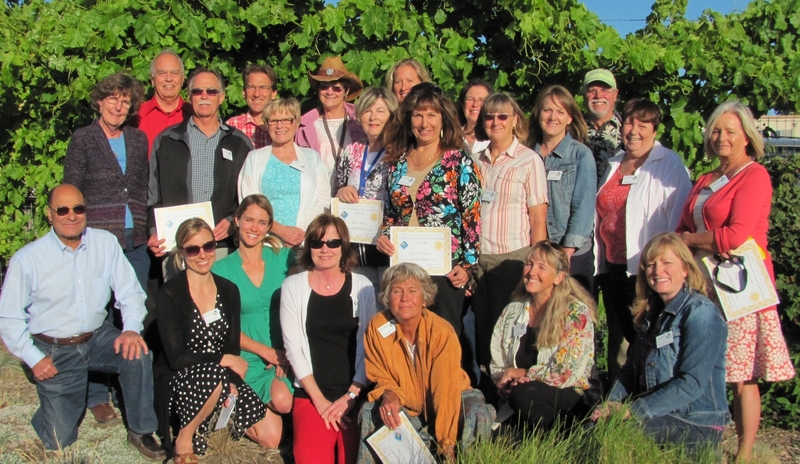 SLO Master Gardeners are on social media, too! Follow us on Instagram (@slo_mgs) as well as on Facebook (UC Master Gardeners – San Luis Obispo). Interested in water conservation? Visit the water retention plot – one of 20 educational plots - in demonstration garden, The Garden of the Seven Sisters. The demo garden is open to the public every third Saturday of the month from noon to 1:00 pm at 2156 Sierra Way, San Luis Obispo. UC Master Gardeners of SLO County – we're here to help!